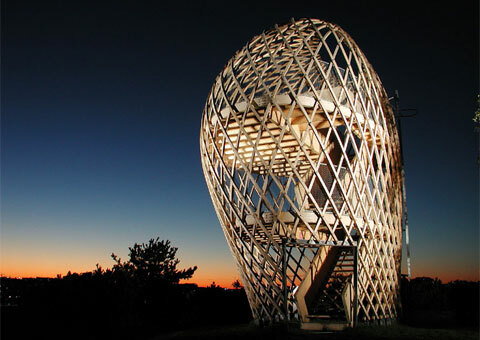 Avanto Architects designed this lookout tower located on a cliff of the Korkeasaari Island with spectacular views of the sea and the city of Helsinki. 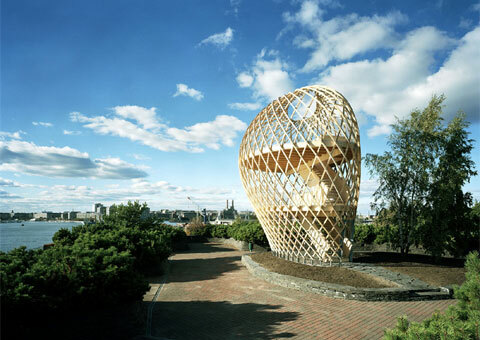 The free form is inspired by its natural setting: it follows the existing low stone wall and skirts around a small birch grove. 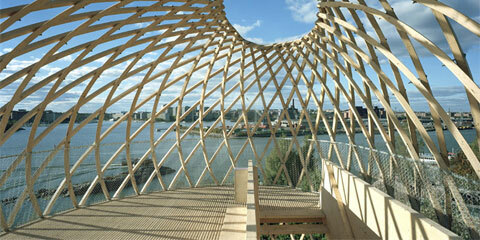 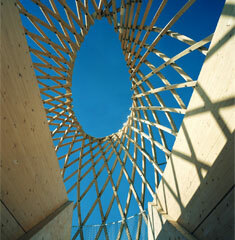 The load bearing grid-shell structure consists of 72 battens bent and twisted on site from seven preformed types. 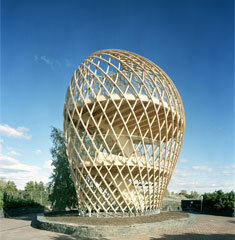 Over 600 bolted joints hold the shell structure together.